You are here: Home / Blog / Our Climbing Curriculum: Tell us what you think! Our Climbing Curriculum: Tell us what you think! 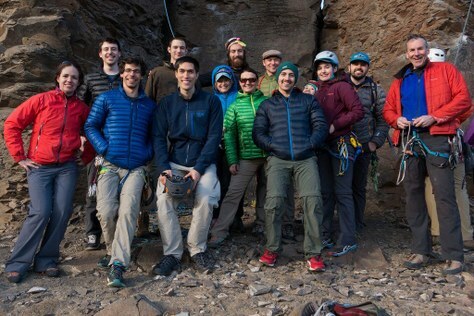 Did you miss our Progressive Climbing Education listening sessions? Please use this survey to give us your input! Did you miss the chance to attend our Progressive Climbing Education listening sessions? Please use this survey to give us your input! The Mountaineers Board of Directors has spent the last two years trying to understand what’s working for us and what needs improvement, specifically with regard to our education model. We spent the week of Jun 13, 2016, in three listening sessions with 60 members of our community learning about what works and where we can improve. We continue to struggle to attract younger and more diverse students. The Board is directing funds to a project we’re calling Progressive Climbing Education. The goal is to invest significant time and money into figuring out how we can make our suite of volunteer-led Climbing Programs easier and more fun for volunteers to run, easier to recruit volunteers for, more attractive to young new climbers (especially those coming out of the gym), and more advanced for our highly skilled volunteers. Our first step is to make sure we truly understand the needs of our volunteers who are running the courses, and of the community at large, including our students. We had three great listening sessions with more than 60 Mountaineers climbers. If you weren't able to make those sessions or have more ideas, please provide your input! We’re not trying to reinvent the wheel. We’ve got a good thing going, but we also recognize that the world is a very different place than it was even 20 years ago, and what got us here won’t necessarily take us to where we want to go. Our long-term goal is to work with our volunteer climbing leadership and partners in the community to identify, reinforce and support the things that are working, tweak things that need tweaking, add things that will make things easier or more relevant, and remove things that are in our way. Stay tuned for future blog posts as this project progresses!